The Rainbow and Concerts SA present the Umkhumbane Jazz Ensemble's long overdue debut album Ezintabeni on June 25. South Africa is a country with multiple cultures and stories, and thanks to democracy, black people’s stories are no longer censored. 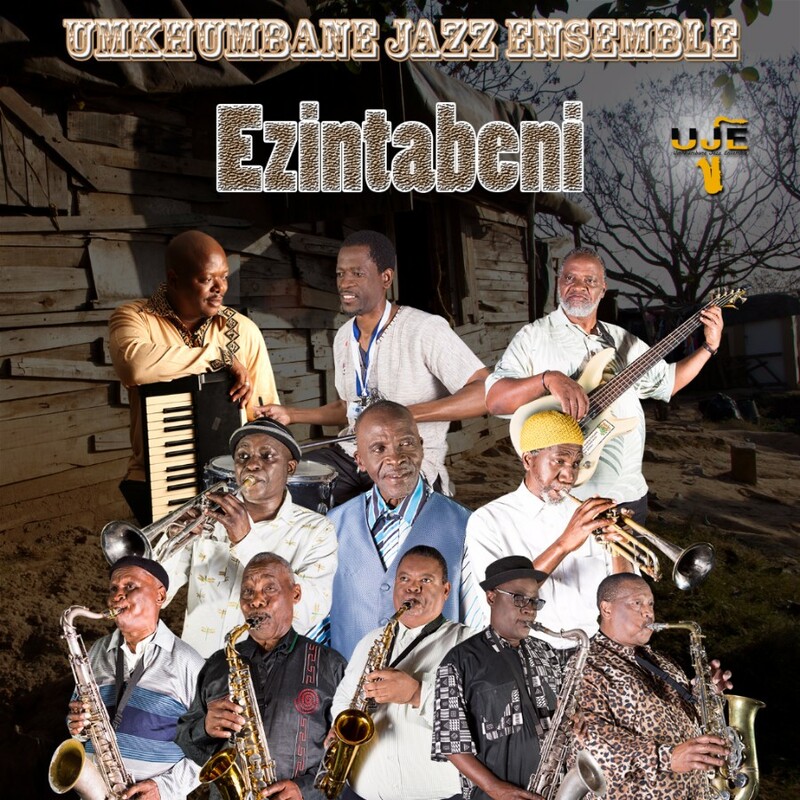 The Umkhumbane Jazz Ensemble (UJE) in partnership with Ethekwini Municipality, KwaZulu-Natal Department of Arts & Culture and KZN Music House, have recorded their long overdue debut album, featuring respected musicians who have dedicated their lives to their music. The people of Umkhumbane endearingly called the area, Ezintabeni due to the “uneven landscapes” that housed informal settlements occupied by people of all races. The unification of races and cultures made it possible for the members of the band to tap into a broad landscape of memories when creating their debut album. UJE have put huge effort into recording this album for the purpose of creating valuable archive material for arts and musical heritage. The Sagiya Foundation made it possible for UJE to share the stories of their beloved home with us, aiming to hit the global market. UJE features legends from Ethekwini Municipality. ;In the reeds section are Moses Sefatsha, Jerry Kunene, Muntu Dube, Sithembiso Ntuli and Mduduzi Magwaza. The brass section comprises Eric Duma and Bheki Luthuli. On vocals are Adolph “Mbova” Kunene with Vincent Mthetwa on keys: Also performing will be KB ‘The Master’ Maphumulo on bass; Mduduzi Mahlobo (guitar) and Atlas Duma on drums. Every member of the 11-piece band had a hand in crafting at least one of the album’s 12 compositions. UJE then included some commemoration songs from African Jazz Pioneers: Sigaxa Mabhande and Way Back 50's. UJE has more than a century of musical experience between them, the number of years of musical prowess goes up even further when you factor in the 12 original band members and 9 featured musicians who held the band’s hand in the creation process. UJE has been giving out great vibes and grooves for such a long time that playing has become more of a reflex than a task. That has not stopped the band from seeking newer and inventive ways to bring their stories across, they have never stopped practicing, and they never will – that’s what makes them special, according to Moses Sefatsa. Music is much more than a sensory experience, it can be used to advance all types of ideologies, UJE’s philosophy is centred on the conservation of, “African music culture and heritage”. The band is a glowing sign for resilience with regards to pursuing your dreams – just think about how long they’ve been playing without releasing an album. Bring some extra cash and pick up this important record of our heritage.